N4 Gateway is a prime location in the East of Pretoria, highly visible with state of the art security systems, modern and pleasing to the eye. Perfectly positioned on the transport arteries crossing the City of Tshwane , N4 gateway Light Industrial Security Park provides solutions to all transport related issues. Situated on Hans Strijdom bordering the N4 highway, access is easily gained to all major routes. World Class security systems will ensure your safety as well as that of your staff and clients. 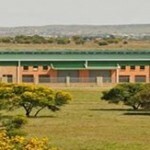 N4 Gateway gives you the opportunity to invest in valuable property and position your business for the future.